Applications: Using a high grade of tungsten carbide, these blades are designed to cut ductile metal. The metal must be clamped, so these blades suit certain types of saw, including bench mounted and table chop and mitre saws. The construction metal saw blades are suitable for sawing most of the ductile metal used in construction including mild steel and cast iron. They usually meet the local site requirements for cold cutting, avoiding the need for hot-work permits often required for abrasive cutting, (Check site regulations). For construction metal including mild steel and cast iron. 350mm size has removable 25.4mm spacer giving 30.0mm bore. Metal should be clamped before cutting. Meets requirement for 'cold cutting' on most construction sites. Tips can be re-sharpened with suitable equipment. Diagram supplied with each blade. Max RPM: 254mm 2,200rpm. 355mm 1,600rpm. 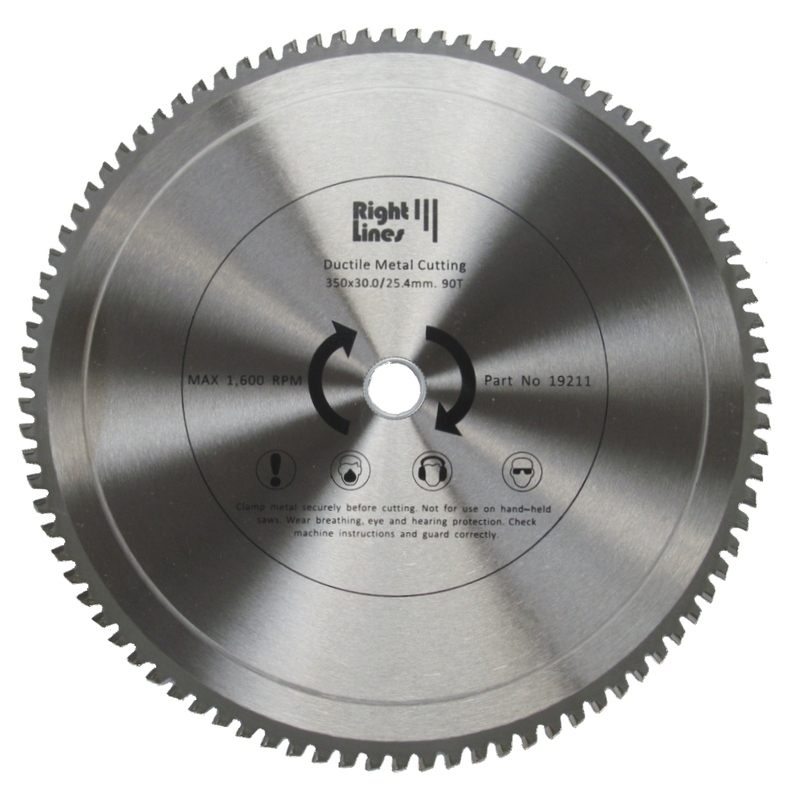 Also Available: For cutting stainless steel, we suggest stainless steel grade thin cutting discs.